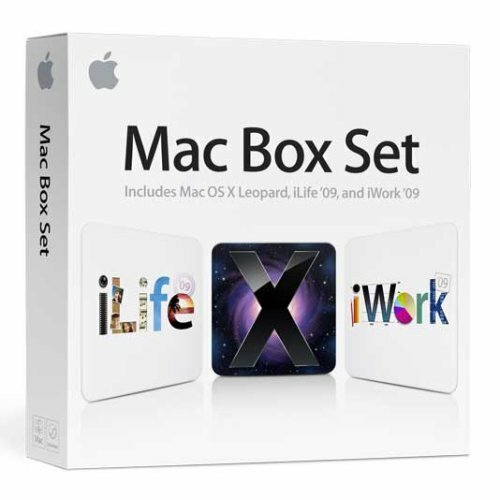 Mac Box Set at Great Deals Through Amazon! While most of us Apple fanatics have switched to Snow Leopard for most of their machines, there are still a ton of people out there that haven’t and this is definitely a great opportunity to do so. While many people are speculating that this might mean the introduction of possible a new iLife/ iWork line up from Apple, you truly wont be able to find a better price for software included. Besides, the majority of the people who buy the package before an unannounced product upgrade, such as iLife, will more than likely get a discount for upgrading to the latest version. What’s Included in the Mac Box Set? The Mac Box Set (Single User Version) is officially available through Amazon at £90.45 for UK users, opposed to Apple’s list price of £132. American users will see a decent discount as well at $136.99 opposed to Apple’s usual $169.